In 1998 Wade and Kim Kuipers opened their 71 acre pumpkin patch to the public in the hopes that families would enjoy the simple pleasures of a fall day spent on a beautiful Midwest farm, as they found they enjoyed it with their three children. As the little fall happening grew, the Kuipers purchased the 160 acre apple orchard known previously as Pine-Apple Orchard and renamed the now 230 acres Kuipers Family Farm.Now folks began coming several times a season to pick apples, then back for pumpkins and fall hayrides and then again in December for that perfect Christmas tree! While the little fall happening has changed quite a bit, Wade and Kim have tried to remain true to their original vision of offering a farm experience to their customers that is as close to what you might really find on a Midwest farm as you can get without having to get dirty. While there is a lot to look at on the farm, this is certainly no museum. Instead running, climbing, adventure, fresh air and kid-powered fun is growing here by the bushel! And the children that were the inspiration for this farm are growing along with it and taking up the vision themselves. 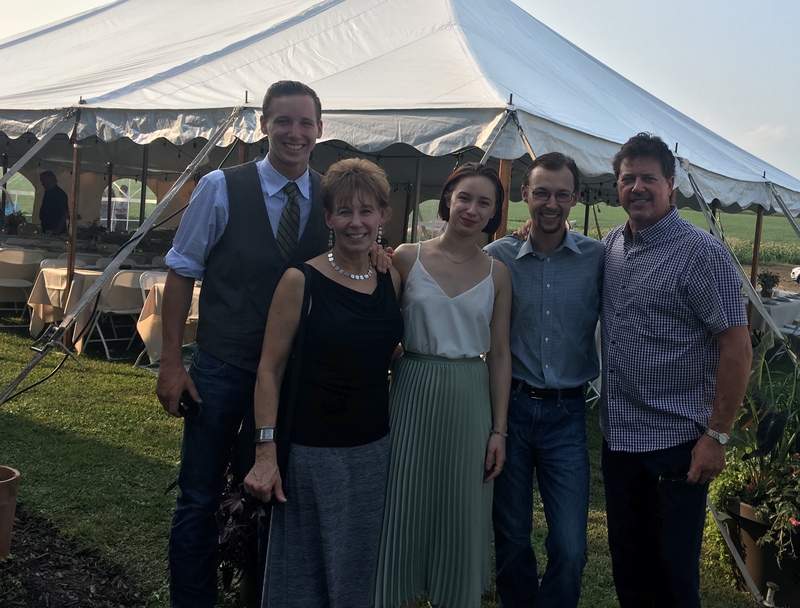 So during your next visit to Kuipers, be sure to look for Tess, Joe and Will who are now actively participating in many aspects of Kuipers Family Farm. From our family to yours…..